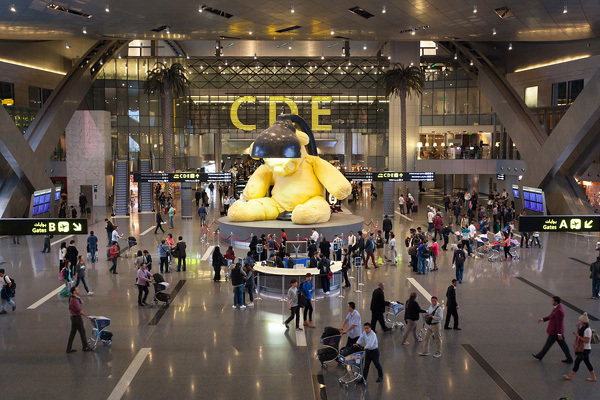 International payment expert Wirecard is expanding its collaboration with Qatar Airways by partnering with Qatar Duty Free (QDF) to offer Alipay as a mode of payment for Chinese travellers at selected retail outlets in Hamad International Airport (HIA). Due to its luxurious offerings and large brand portfolio, QDF is optimally positioned to attract Chinese tourists. Luxury goods such as handbags, shoes and apparel are the most in-demand products for Chinese travellers. By accepting Alipay payments, QDF is appealing to a large and fast-growing target group. With over 600 million active users in China, Alipay is the world's largest mobile payment network, sharing approximately 54.1 per cent of China's mobile payment market by total transaction volume. Qatar Airways operates daily flights to Beijing, Shanghai and Guangzhou, four-times-weekly to Hangzhou, three-times-weekly to Chongqing and Chengdu. Over the past few years, the Chinese outbound tourism in Qatar has continuously increased, reaching 135 million travellers in 2016. Last year, Qatar was granted Approved Destination Status (ADS) in China, allowing it to promote its tourism destinations within China. Recognising this trend, Qatar Airways aims to offer its Chinese guests their familiar payment method. Head of Qatar Duty Free, Thabet Musleh, said: "HIA is a world-class shopping destination, and it's important to continue to provide our passengers with the best, most convenient shopping experience during their journey through the award-winning airport. The Chinese market is very important. Thanks to our strong partnership with Wirecard, we are able to keep these high standards and fulfil the needs of our Chinese customers by offering them their domestic payment method."